It’s Sunday, a balmy summer evening in Sydney with a cool nor-easterly blowing in. 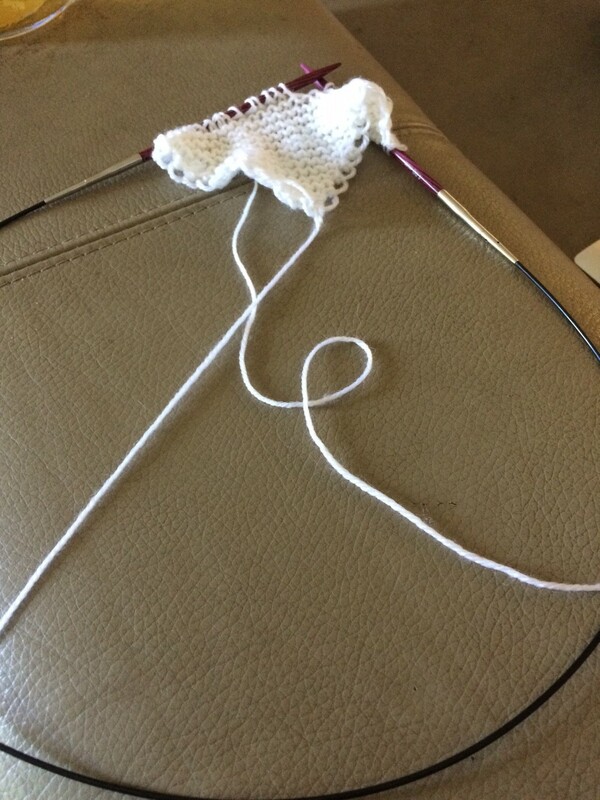 I’m knitting. I’ve had a difficult few months. The optimism I’ve always had, and treasured, deserted me and I had been wondering why I should even try to continue living. Last Sunday I took advantage of a rare coincidence of a free few hours and a sense of well-being. I took myself into the city and went to a shop that sells beautiful knitting yarns. I’ve always been a knitter. My mum taught me to knit when I was about nine years old. It’s one of the most treasured gifts that she gave to me. When she died, all I asked for were her needles and patterns. I have those old patterns, marked all over with her notes and amendments, all her old needles, battered and some bent. Many of those needles and patterns had been passed down from her mother. I haven’t been able to knit since that awful year when she died and John was so ill. I’d tried a few times but couldn’t do it. So it was a big thing visiting that shop last week. Anyway, I bought the yarn: soft, white pure wool 3-ply. For a baby. 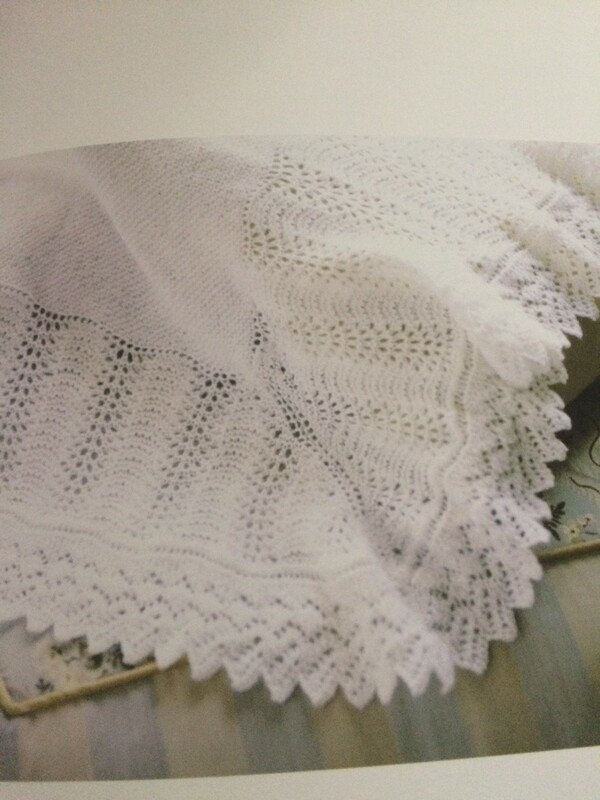 I’d heard that friends are expecting their first and I figured that not many babies receive a hand-knitted shawl these days. This baby will receive one. So I began this week. I chose an old-fashioned lacy pattern and it wasn’t until I began that I remembered I’d knitted it many years ago, for another baby. I don’t know where that baby is now but I hope it gave him comfort. My fingers remembered that pattern. I’ve begun on the rather boring (to a knitter) stocking stitch foundation for the shawl. Next week I’ll move on to the complicated lacy border which will take months to complete. As I knit I remember all the happy things that have happened in my life and how lucky I am. I’m hoping that as the shawl grows, so will my optimism and calm return; that as I produce something beautiful I will grow something beautiful again in my heart. When Spring comes, there will be a baby, a shawl, and hope.